The Chiller Ice Rinks are proud to offer our exclusive Specialized Hockey Skills Program under the direction of coach James Nash. 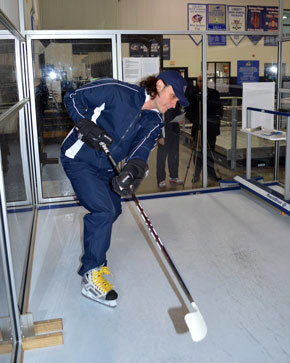 The Specialized Hockey Skills Program includes the Skating Treadmill, the RapidShot shooting cage, and our recently added Stick Work Station - all at Chiller North. Additional program elements will be reviewed and considered for future offerings depending on the needs of area players. 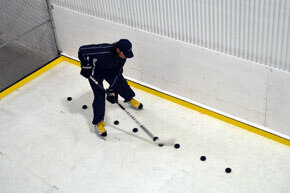 Each session includes 50-60 minutes on the skating treadmill and 3 rounds (16 pucks each round) on Rapidshot. For more information, please contact James Nash at jnash@thechiller.com. 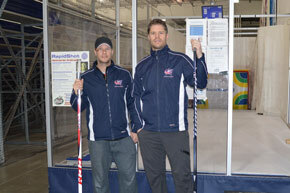 Sharpen your skills with RapidShot! Purchase cards with extended minutes and save!